​Includes: Homework, Commands Test, AKC CGCU Test, Certificate. 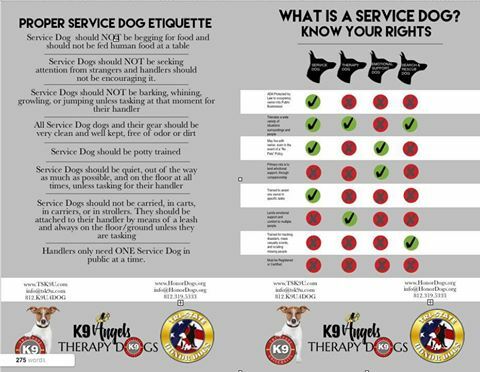 training your Service Dog. A doctor/therapist letter stating your diagnosed disability and your symptoms is required. 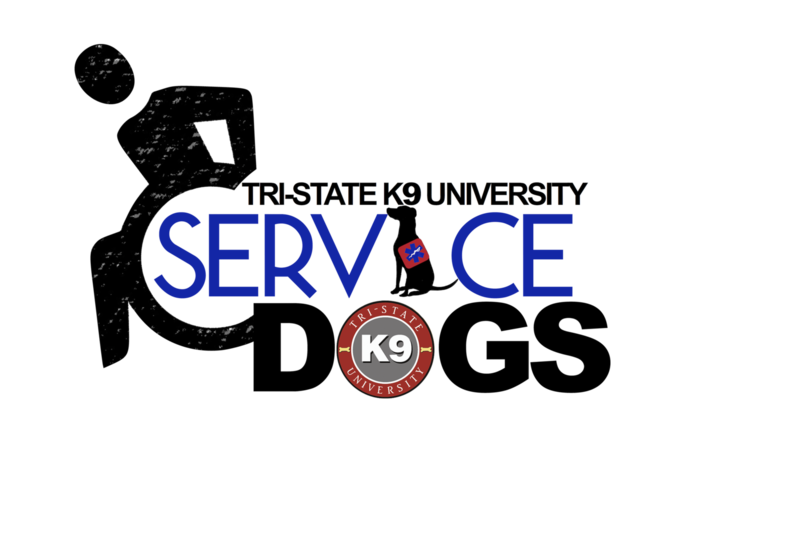 TSK9U will also require at least 3 tasks for Service Dog to perform for your specific needs. 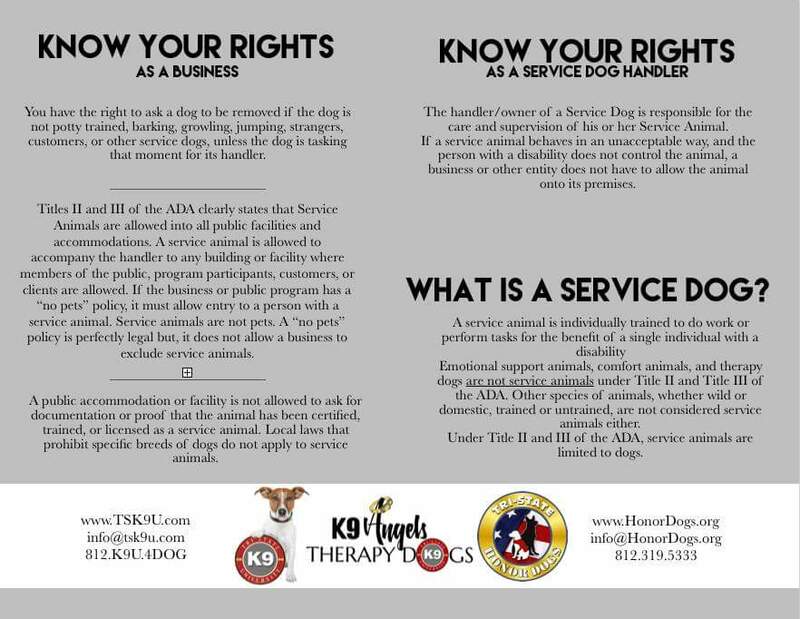 TSK9U has the right to refuse admittance if your dog is not suitable for your needs, not performing proper tasks, or if your needs are not a disability recognized by a physician. 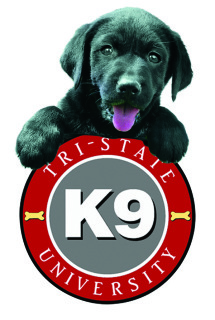 All Service Dogs in Training need to be approved by interview before joining our Service Dog training classes. Contact us today for more information or to schedule an interview. ***Note: NO REFUNDS ON INTERVIEWS. ***Note: NO REFUNDS ON USED OR UNUSED CLASSES. 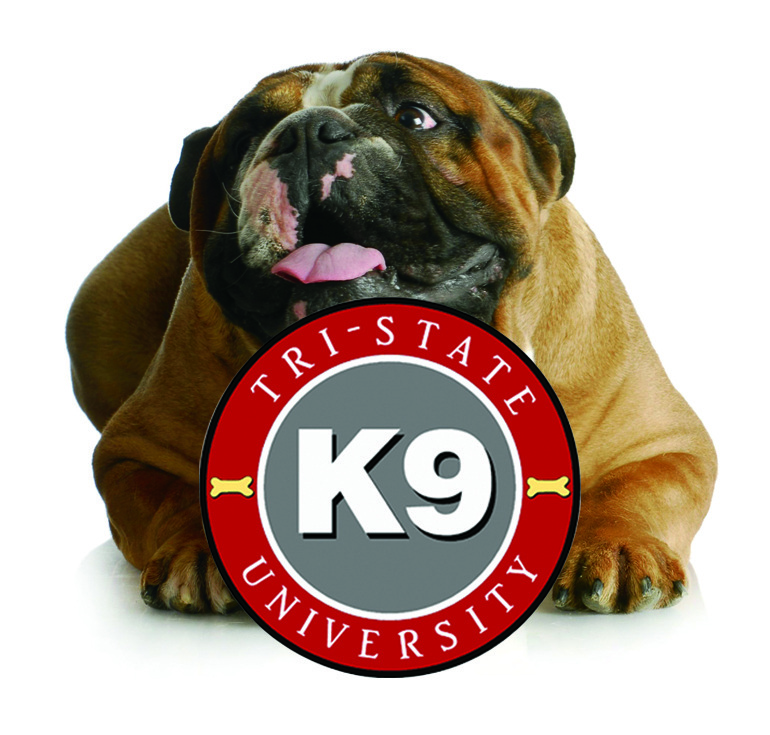 FEE IS FOR THE ENTIRE COURSE, PAID IN FULL ON WEEK 1 OR PRIOR TO EACH LEVEL. We highly suggest the Tri-State Honor Dogs program if you are a Veteran or a 1st Responder! 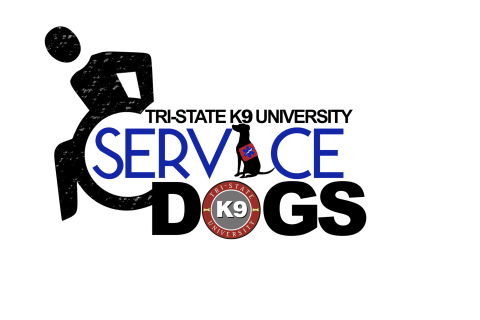 They help with Owner Training Service Dogs as well as Emotional Support Animals (ESA) too!